H.W. Detrich and L. Zon, Overview of the Zebrafish System. D. Kane, Early Embryonic Development. D. Barnes, Zebrafish Embryonal Cell Culture. B. Paw and L. Zon, Primary Fibroblast Cell Culture. G. Corley-Smith, Production of Zebrafish Androgenotes. T. Jowett, Analysis of Protein and Gene Expression. M. Hammerschmidt, P. Blader and U. Strähle, Strategies to Perturb Zebrafish Development. S. Ekker and T. Hyatt, Vectors and Techniques for Ectopic Gene Expression in Zebrafish. H. Sive and Y. Grinblat, Analysis of Zebrafish Development Using Explant Culture Assays. M. Mullins, Embryonic Axis Formation. M. Cooper, Confocal Microscopic Analysis of Morphogenetic Movements. L. Solnica-Krezel and J. Topczewski, Cytoskeletal Dynamics of the Zebrafish Embryo. M. Chem and H.W. Detrich, Kinesin-Like Microtubule Motors in Early Development. C. Moens, Techniques in Neural Development. J. Malicki, Development of the Retina. S. Johnson and P. Bennet, Growth Control in the Ontogenetic and Regenerating Zebrafish Fin. L. Zon, D. Stainier, and L. Parker, Vascular and Blood Gene Expression. P. Jagadeeswar and J. Sheehan, Analysis of Hemostasis in Zebrafish. M. Fishman and Serluca, Cell Lineage Tracing in Heart Development. I. Dawid, Neurogenesis. Subject Index. 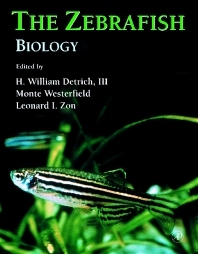 This is the first in a two-volume, comprehensive treatment of the methodologies used in researching the Zebrafish, an emerging vertebrate model system. The text includes discussions on development, genetic methodologies, and model applications.